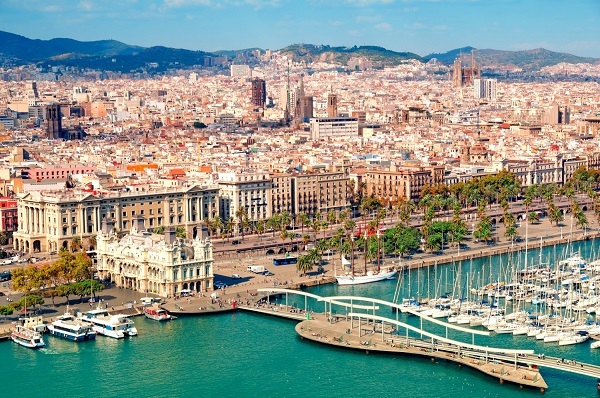 ON TOUR this week is in Barcelona, one of six cities featured in a new series of “Destination Experiences” produced by the Leading Hotels of the World group, of which this is an extract. The guides set out to discover what lies beneath the surface of the world’s most cosmopolitan destinations using insider recommendations provided by local tastemakers and influencers. The other cities in the collection are Paris, Dublin, London, New York and Rome. There's no shortage of creativity In Spain’s most avant-garde city. Like something out of a surrealist dreamscape, the Catalan capital gets its mojo from Modernism, a cultural movement from the early 20th century that sets the tone for just about everything in this cosmopolitan city. The magical port on the Mediterranean is a bustling metropolis that clings relentlessly to its ancient Spanish charms. The neighbourhoods are as versatile as the city. 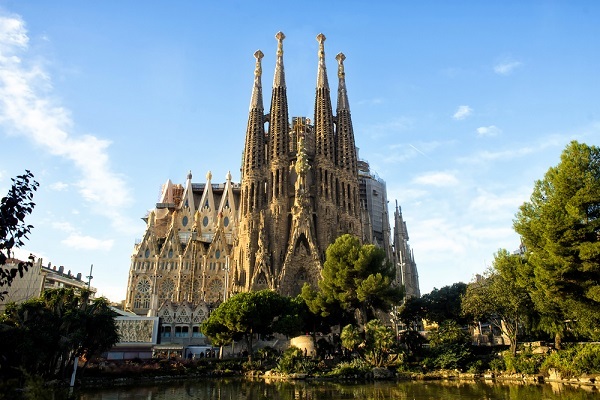 Antoni Gaudí's monumental Sagrada Familia cathedral, which rises hundreds of feet above downtown, is at the center of this utopian melting pot, in the elegant L'Eixample district, filled with galleries, boutiques and cafes. Antiquity meets modernity in the Gothic Quarter, a mix of old and new in a labyrinth of cobblestone streets. Walk the adjoining La Rambla, the most famous pedestrian promenade in Spain, a gradual one-mile descent toward the sea. When it comes to an escape from the city, locals head to the "magic mountain," Tibidabo, for a ride on a 100-year-old Ferris wheel, or take the funicular to a monastery on Montserrat mountain, where choir boys sing on high. Barcelona is also a city of markets, each with a special character. Mercat de la Boqueria (91 La Rambla) is recognised as one of the best in the world, and the oldest in the city, dating back to 1217. In addition to offering everything from fruit stalls to fresh fish, it's also home to the Boqueria Food School offering culinary classes to the public, where amateur chefs can learn the secrets of Catalan cooking. The renovated Mercat Santa Caterina (16 Av. de Francesc Cambó) gets as much attention for its undulating, colourful roof that resembles a magic carpet as it does for the more than 100 fish, seafood, poultry, and produce stalls spread across three levels, while Mercat de Sants (6 Carrer de Sant Jordi) is where the locals do their food shopping. Built in the Modernist style, the market in the Sants neighbourhood is a protected heritage site, and still retains its flavour as a friendly, community gathering place. Two renowned artists are honoured in special collections in Barcelona. At the Museu Picasso (15-23 Carrer Montcada), the breadth of this artist's prolific output shows in more than 4,000 works: from the doodles of a budding imagination to the famous cubist works that made Pablo Picasso a household name. The same goes for what's on display at Fundació Joan Miró (Parc de Montjuïc),the foundation of the 20th-century surrealist created to exhibit his own art. The all-white building is on the picturesque Montjuïc hill, overlooking the entire city. Other artists' works besides Miró's are exhibited, too. One exhibit not to miss is Alexander Calder's "Fountain of Mercury," in which liquid mercury cascades instead of water. Created in 1937, it is known as one of the deadliest pieces of art ever created because of the toxic metal circulating through it. But don't worry, today "Fountain of Mercury" is housed behind a pane of glass to protect onlookers. Finally, it wouldn’t be Spain without a Tapas trail, just one of many gastro experiences to be found in Barcelona. For real local flavour off the tourist map, try La Esquinica (296 Passeig de Fabra i Puig), which bills itself as the "Mecca of Tapas." Try the stuffed mussels, or tigres, where finely chopped mussels are mixed with onion, pepper, and tomato sauce, breaded and lightly fried, then put back in the mussel's shell. O'Retorno (168 Carrer del Comte d'Urgell) is the place to try Galician pulpo con cachelos, one of the most famous Spanish tapas-style dishes, where grilled octopus is drizzled with olive oil, spicy paprika, and coarse salt, then placed on a bed of potatoes. For the tastiest sangria in town, Los Caracoles (14 Carrer dels Escudellers)has solidified its reputation for delicious fruit-infused wine cocktails since the restaurant opened in 1835. For more on Bacelona and the other cities featured, see the website below.